A key factor in team collaboration is the process followed by participants. Planning this process helps teams to accomplish their goals. In collaborative design environments, process modeling should be used to make the collaboration explicit. 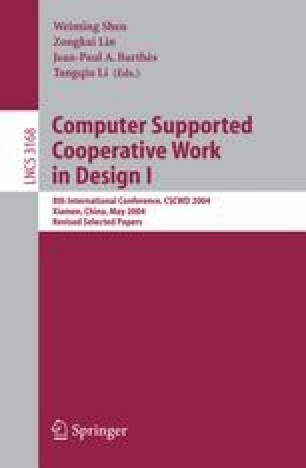 In Computer-Supported Collaborative Learning (CSCL) research, we have observed that most environments do not provide support for the definition of collaborative processes by apprentices and facilitators. This support is very important when the approach is based on project-based learning (PBL). Planning the interactions and the process of a project is a way to stimulate group participants to collaborate, thereby promoting interdependency and commitment between the work and the learning activities. We present a cooperative project-based learning environment that supports facilitators and apprentices in the task of planning their work in order to improve awareness about the “learning-how-to-learn” process.